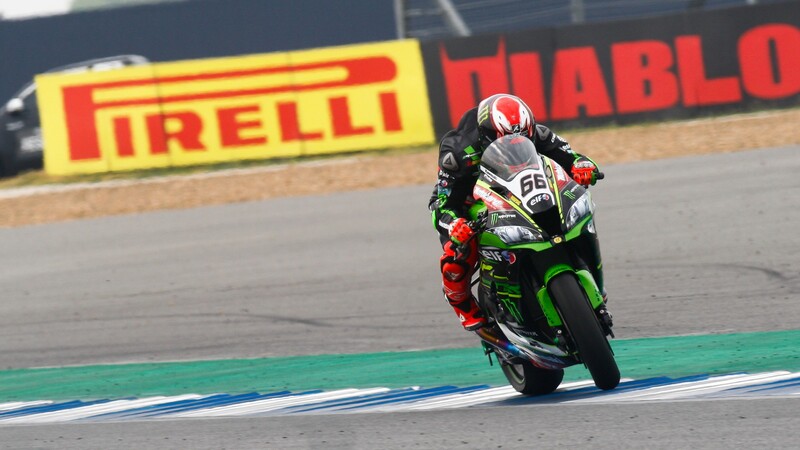 Jonathan Rea (Kawasaki Racing Team WorldSBK) and Tom Sykes (Kawasaki Racing Team WorldSBK) starred in Free Practice Three at the Chang International Circuit, where there was never much more than a tenth of a second separating the top five. Each of the best eight in the combined results set their fastest time in the third session, and rankings were therefore changeable throughout. But Rea continued a day of steady improvement, climbing from eleventh in FP1, to fourth in FP2 and finally to lead the list of automatic qualifiers to Saturday’s Tissot-Superpole session. Eugene Laverty (Milwaukee Aprilia) was the biggest name not to improve in FP3 as, after heading the timesheets in FP2, he collided with Xavi Fores (Barni Racing Team) in dramatic fashion. 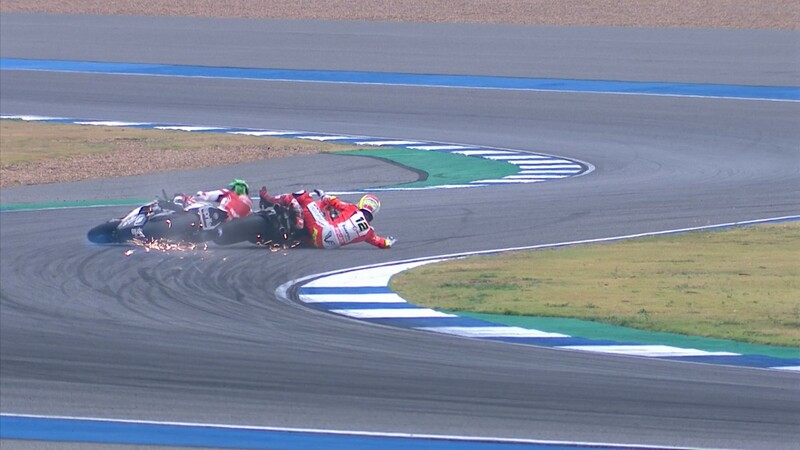 Both riders bit the asphalt but climbed back aboard their machines, Fores later confirmed fit to continue his weekend after suffering an abrasion to his toes. 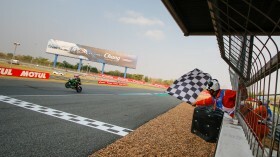 Both finished comfortably inside the top ten despite the incident: Fores, who finished FP1 on top, remained the lead independent rider as has become his custom in 2018, while Laverty dropped back to ninth. Behind the lead British duo on the timesheets, Jordi Torres (MV Agusta Reparto Corse) finished third having, until the final batch of hot laps, sat first. 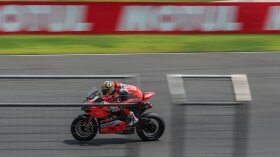 Aruba.it Racing – Ducati runners Marco Melandri and Chaz Davies made the biggest improvements in FP3. 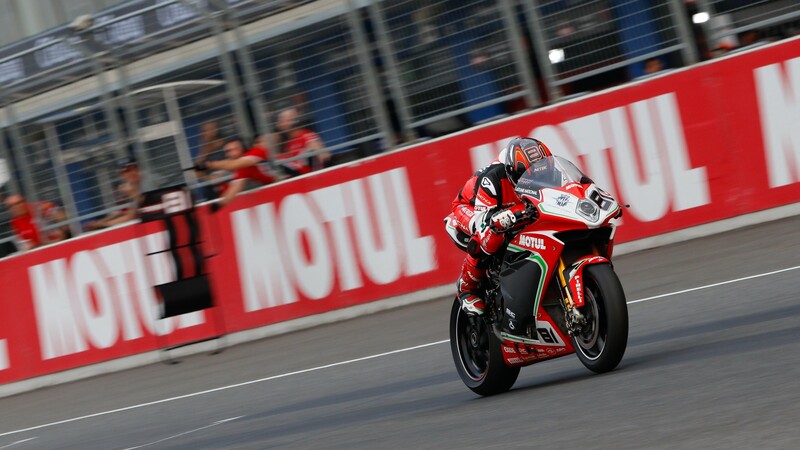 Australian double winner Melandri found almost a second to leap from tenth to fourth, and Davies showing no ill effects after his crash in FP2. 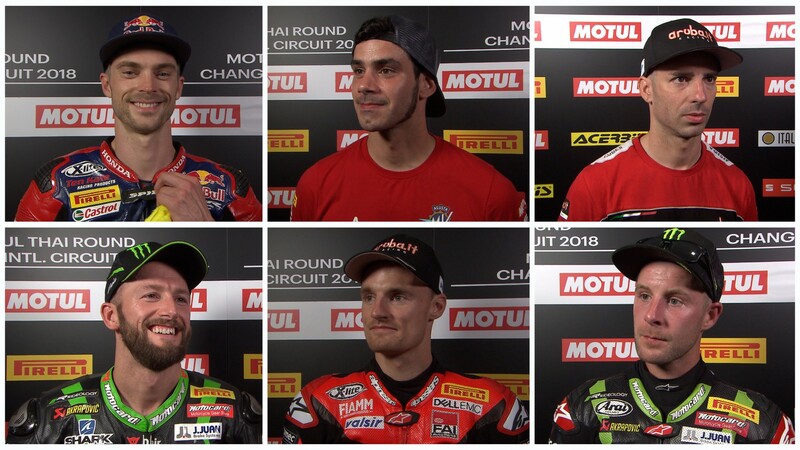 Leon Camier (Red Bull Honda World Superbike Team) was the top Honda runner throughout, with Yamaha also represented in the top ten through Michael Van Der Mark (Pata Yamaha Official WorldSBK Team). 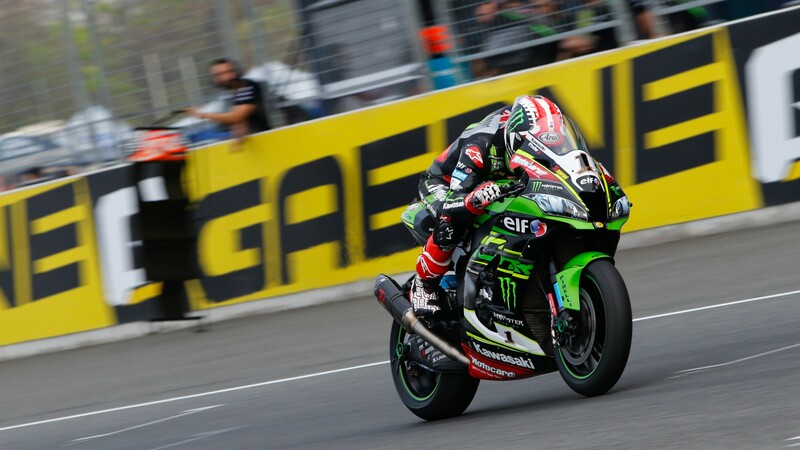 The Dutchman finished the session just two thousandths of a second clear of crash duo Fores and Laverty, with his teammate Alex Lowes (Pata Yamaha Official WorldSBK Team) also behind and occupying the last of the top ten positions. Behind the break-away group of eight, there was a close contest to hold on to a place in the top ten: four riders separated by one and a half tenths of a second. Despite setting more laps than anyone in the three sessions combined, Loris Baz (GULF ALTHEA BMW Racing Team) was unable to force a seventh manufacturer into the day’s top ten, the Frenchman twelfth but well clear of the pack of independent riders directly behind. #THAIWorldSBK action resumes with FP4 tomorrow at 10:45 (03:45 GMT) and Superpole from 13:30 (6:30 GMT), with live coverage on the WorldSBK VideoPass.